What has this got to do with PSYOP? Actually quite a bit. I’m in London for a week as the final phase of a trip to Ireland (see www.cosac.net) and a weekend in Edinburgh. While I’m not a bit TV fan, my wife watches enough TV for the both of us and so it was no surprise that she the tube on virtually all the time we were awake on the road. 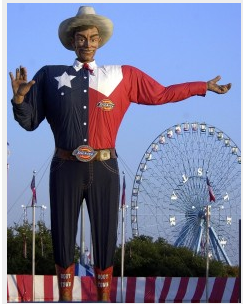 The prelude to the interviews showed typical Texas Fair cuisine, which of course, means anything that can be fried. The interviews captured the thoughts of three ‘average Americans’ who felt: Obama care was nuts; government was too big and/or if shutting the government was the only way to curtail runaway government spending then – so be it. Of course had the same ‘average Americans’ been in Berkeley, CA or Seattle, WA or Miami, FL it is more than likely that their views would have been different. The moral of the story: you need to do your media research every day to develop a baseline of what the local media is saying so that you can gauge your own messages accordingly. Input and other sources invited. Don't leave your loyal fans hanging...what does your observation have to do with PSYOP? Got the Al Capone reference. To be more direct - even "friendly" media are not always helpful in messaging even if you think they are always on your side. Always seek multiple view points. Is MISO Missing The Boat on Islamic PSYOP?